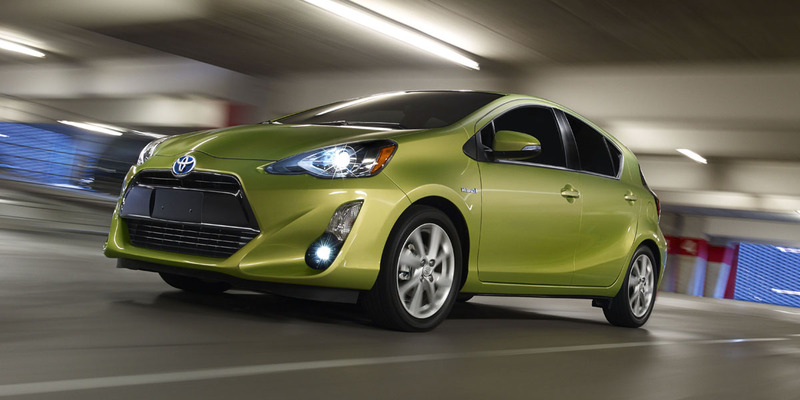 Prius c offers hybrid fuel economy in a tidy, relatively inexpensive package. Acceleration is merely adequate around town and diminishes to meager at highway speeds. This is one of the least-expensive hybrids on the market, and the base price includes automatic transmission. Introduced for 2012, the Prius c (for “city”) joined the Prius family as a smaller, less-expensive hybrid aimed at urban dwellers. This 4-door, 5-passenger, front-drive hatchback is 18 inches shorter and 500 lbs lighter than the standard Prius hatchback, and ties its larger sibling as the most fuel-efficient car in the U.S. that doesn’t need to be plugged in. 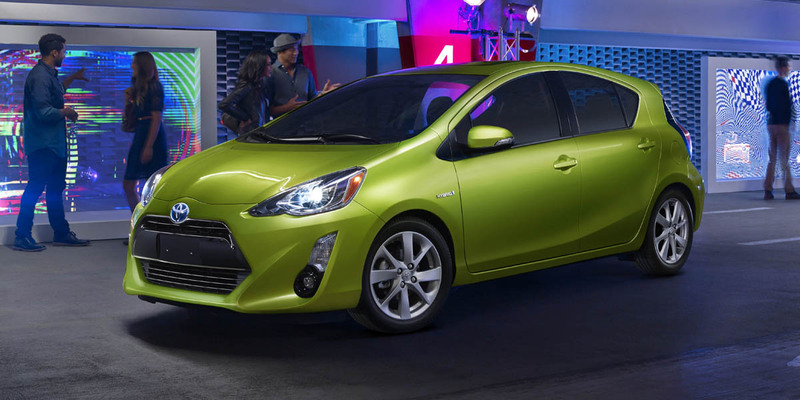 Prius c sees a round of mild cosmetic changes for 2015, including a new front fascia, new taillights, and some upgraded interior materials. 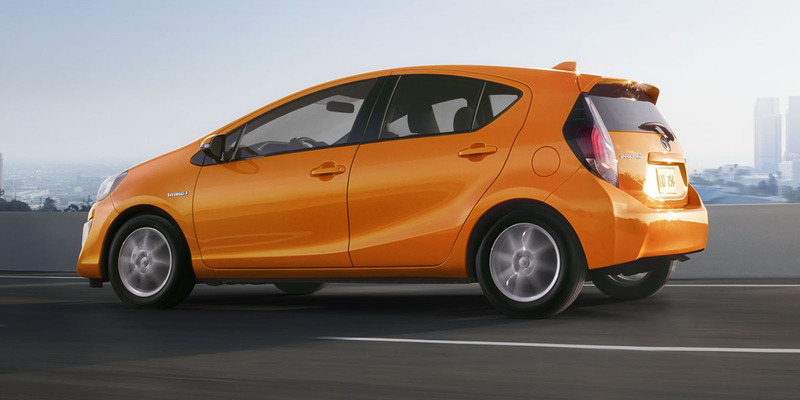 The EPA rates the Prius c at 53 mpg city/ 46 mpg highway. 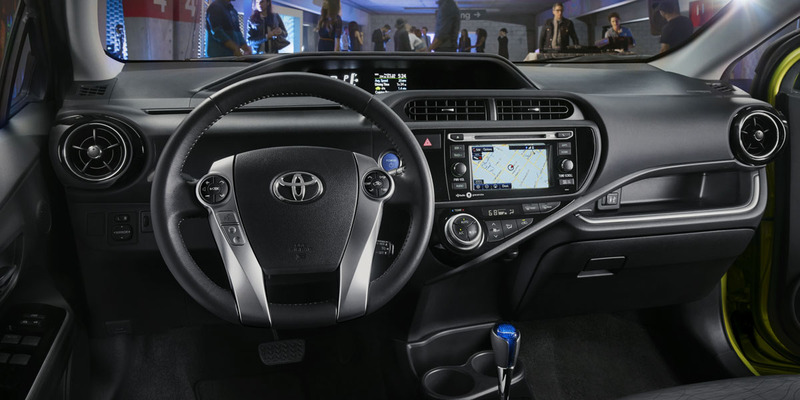 In Consumer Guide® testing, a Prius c returned an outstanding 57.7 mpg. Prius c uses regular-grade gas. Prius c is not only one of the least-expensive hybrids on the market, it’s also one of the most frugal. It doesn’t cost much more than some similarly equipped “regular” subcompacts yet gets far better mileage, giving it a strong value equation. Economy-conscious buyers would do well to put it high on their shopping list.